In 10 years the eurozone should have a finance ministry and a central budget, a common economic policy, common debt and common banking supervision in the face of the ECB. And all this guaranteed by the necessary democratic legitimacy, "based on the joint exercise of sovereignty for common policies and solidarity." Such a vision for the euro area is presented in the report, prepared by European Council President Herman Van Rompuy, together with European Commission President Jose Manuel Barroso, European Central Bank President Mario Draghi and Eurogroup President Jean-Claude Juncker. The report will be discussed by EU leaders at the upcoming summit on 28 and 29 June. 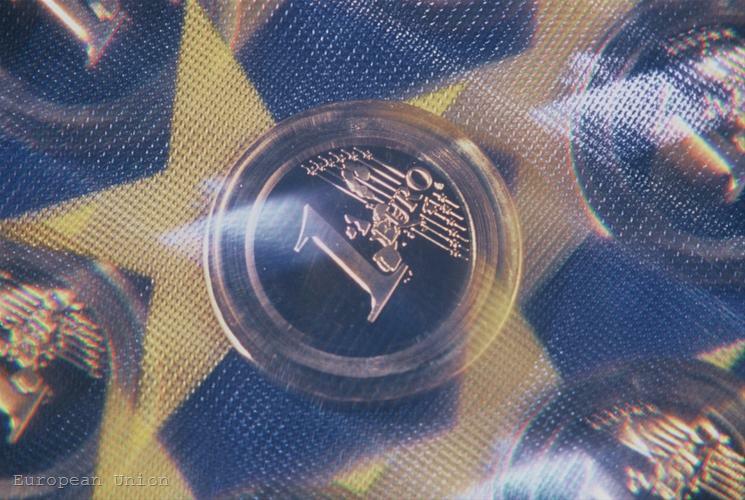 The first (and most urgent) building block of the future "stable and prosperous" Economic and Monetary Union (EMU) is an integrated financial framework. "Such a framework elevates responsibility for supervision to the European level, and provides for common mechanisms to resolve banks and guarantee customer deposits." According to the report, the framework should cover all EU countries, whilst allowing differentiation between euro and non-euro area members in certain aspects when it comes to the functioning of the monetary union and the stability of the euro area. "The current architecture should evolve as soon as possible towards a single European banking supervision system," where a European supervisory authority would have the last word. It would be given "supervisory authority and pre-emptive intervention powers applicable to all banks". Especially for the euro area, the Treaty on the Functioning of the European Union (TFEU) allows such powers to be given to the European Central Bank. In return for this centralised control, the common deposit insurance scheme and resolution fund could use the European Stability Mechanism as a fiscal backstop. The same direction - towards centralised oversight - should be followed in respect to budgetary policies. Some of the elements of the "integrated budgetary framework" already exists in one way or another in the Fiscal Treaty or the so called "Two Pack ", which provides for the European Commission to obtain enhanced supervision rights in terms of the national budgets. But Van Rompuy`s report goes further: without naming it explicitly, it empowers a central authority in the euro area to request changes in national budgets, if they break fiscal rules. At the same time, countries should jointly agree on "upper limits" of their annual budgets and debt levels as "the issuance of government debt beyond the level agreed in common would have to be justified and receive prior approval." And since the sharing of sovereignty is rewarded by sharing the risk, in the medium term the issuance of common debt with joint and several sovereign liabilities could be explored, “as long as a robust framework for budgetary discipline and competitiveness is in place to avoid moral hazard and foster responsibility and compliance." Although some of the proposals for common debt as short-term European securities (eurobills) or debt redemption fund are mentioned in the report, it does not express preference for any form of debt pooling. Also, no specific details are mentioned about the possibility to envisage "different forms of fiscal solidarity." 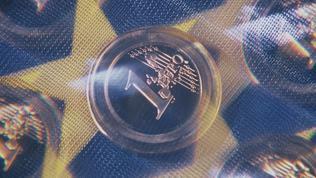 A full-fledged fiscal union (at eurozone level) includes a central body such as a ministry of finance and a central budget. In an interview with Der Spiegel, German Finance Minister Wolfgang Schäuble described the work of the future European finance minister as follows: he would have a veto power against national budgets and would have to approve levels of new borrowing. 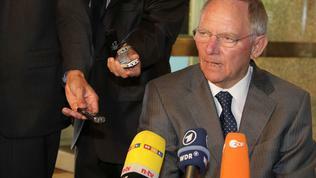 "It would be up to the individual countries to decide how to spend the approved funds," Schäuble says. He believes these reforms must be achieved at EU level but recognises that this could be very difficult. But even if the new institutions are created only in the euro area, it would be an "open club" where "every member state of the EU would be more than welcome to participate." Obviously based on the lessons of the Euro Plus Pact, that remained at the level of vague political phrases, the report says that a more enforceable "integrated framework of economic policies" should be created. It is particularly important, the document says, that there are common policy guidelines in areas such as labour mobility and tax coordination. 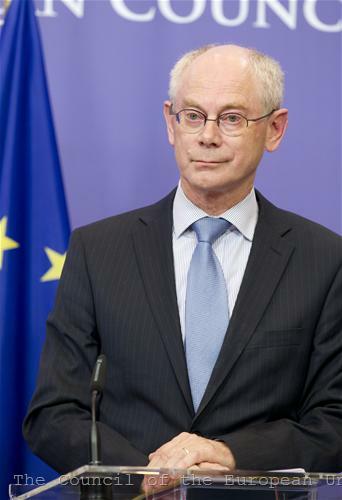 Herman Van Rompuy also touches the sensitive issue of democratic legitimacy, because taking common decisions by the member states requires "strong mechanisms for legitimate and accountable joint decision-making". The report, however, does not make clear what exactly these mechanisms are besides strengthening the role of the EP and national parliaments and "building public support for European-wide decisions with a far-reaching impact on the everyday lives of citizens." 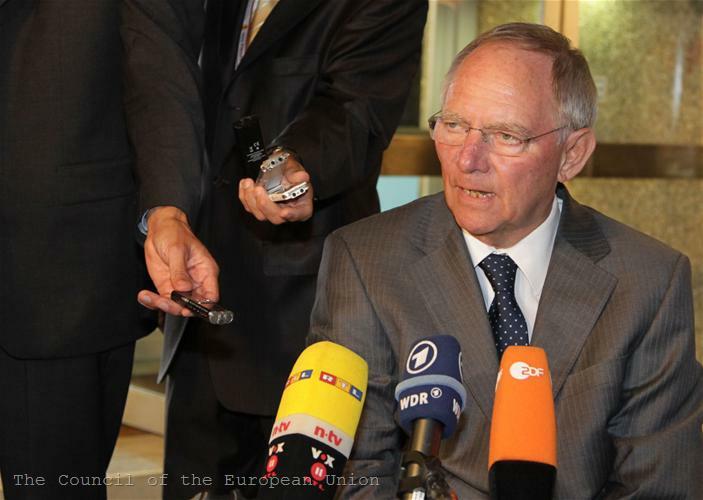 In terms of democratic legitimacy, Wolfgang Schäuble is quite specific. He says that the Commission should evolve into a real government and to that end it should be elected directly, either by the parliament or through direct election of a Commission president (which Schäuble prefers). He believes that "the direct election would be preceded by a large-scale mobilisation, and it would electrify all citizens from Portugal to Finland." The European Parliament should also be strengthened as it should be finally given the power to enact bills: "It's an anachronism that only the Commission has played this role until now." With regard to the Council, where the member states are presented and which currently has the strongest role, Schäuble thinks it needs to be transformed into a sort of upper chamber (like the German Bundesrat or the US Senate) where each country sends a certain number of representatives. Similar vision for the EU`s future was described by German Chancellor Angela Merkel at the annual Economic Forum in Davos earlier this year. Herman Van Rompuy's report sounds quite restrained, perhaps because it is only the first paper on such a complex and comprehensive matter and it sees how the land lies. The president of the European Council will report back to leaders on the progress of the reform of the EMU at the summits in October and December. 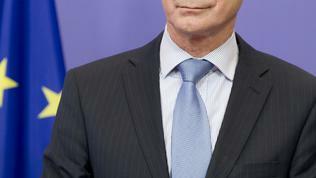 How changes will be placed on the timeline, President Van Rompuy will present in a concrete roadmap. The new architecture must be built over the next decade, including through changes in the European treaties. This alone gives a clear indication of the scale of efforts and time frame needed to reload the eurozone. *By analogy with the title of the movie "Matrix Reloaded"